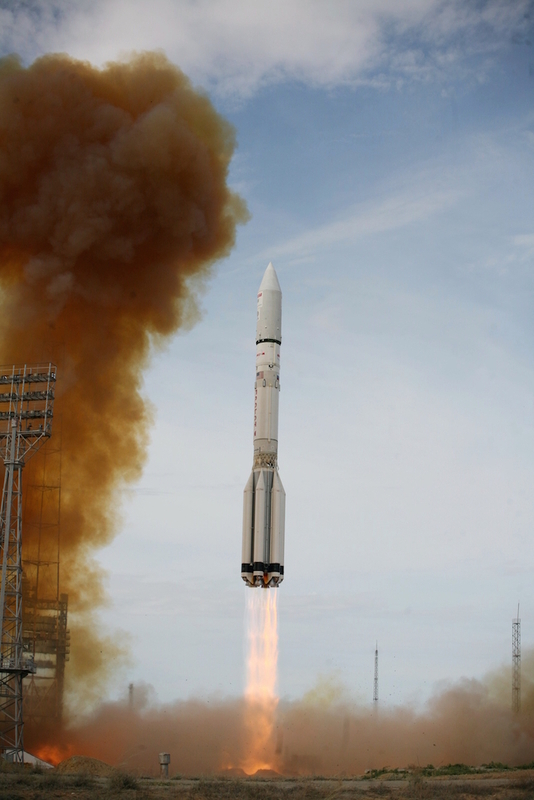 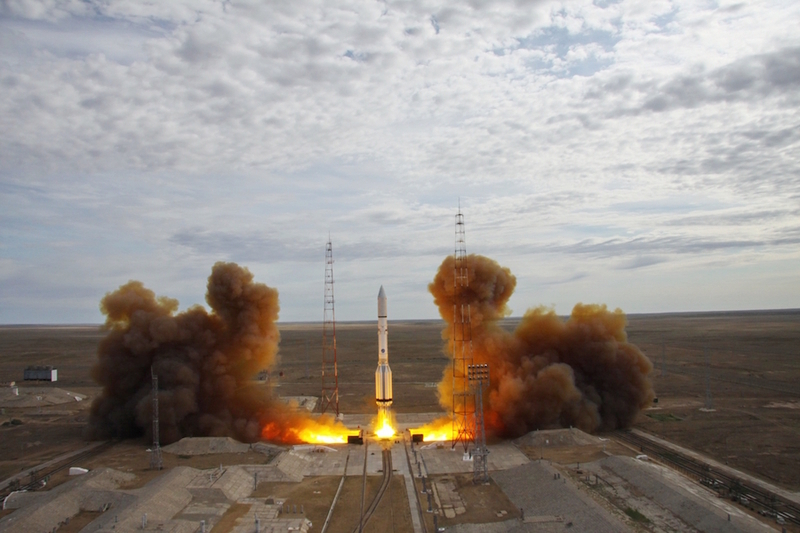 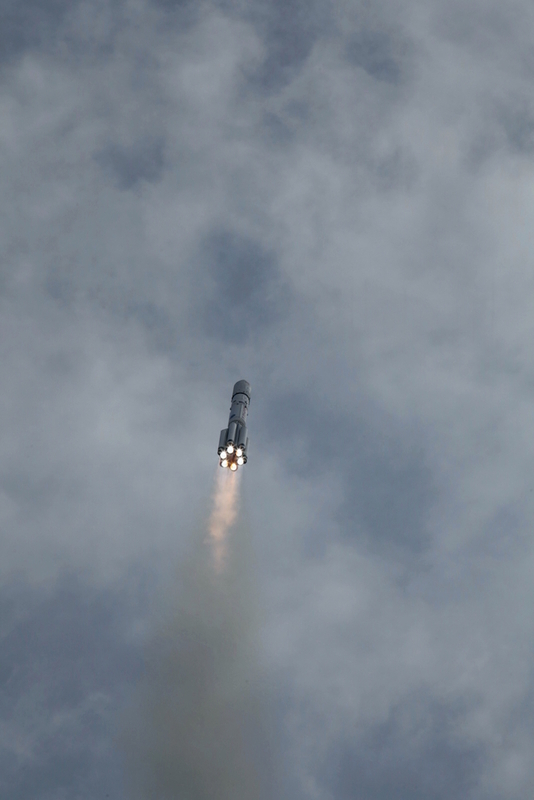 Look back on last week’s launch of a Russian Proton rocket from Kazakhstan with the EchoStar 21 communications satellite, a commercial craft designed to beam broadband connectivity to customers across Europe. 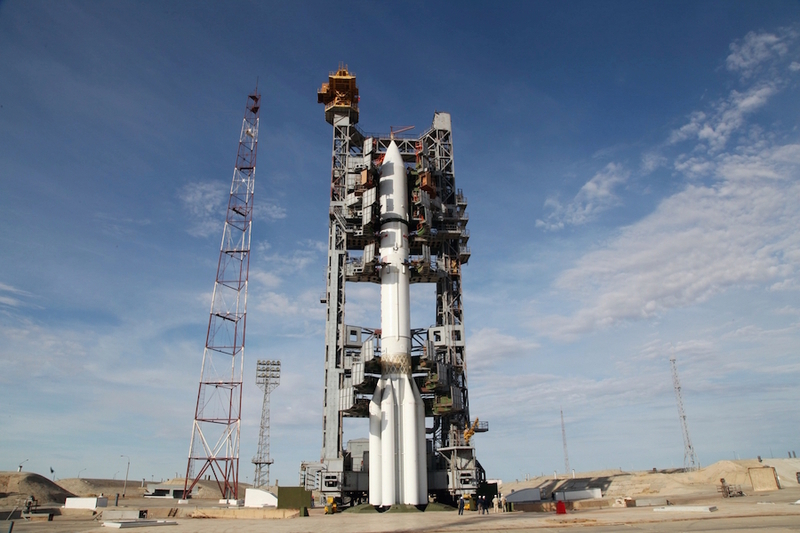 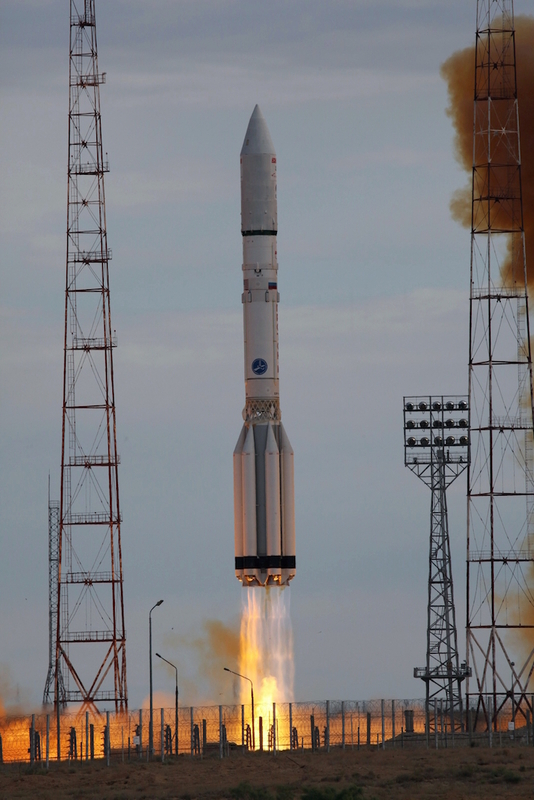 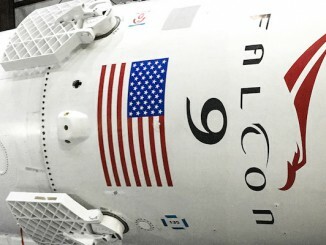 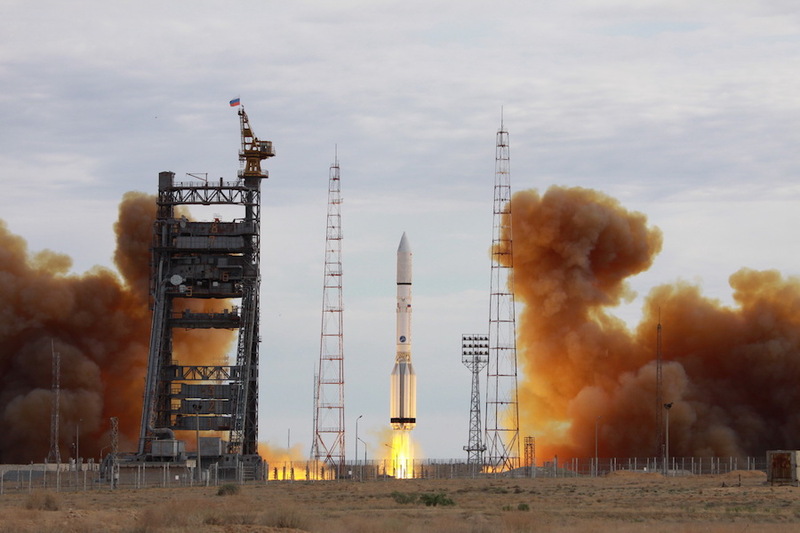 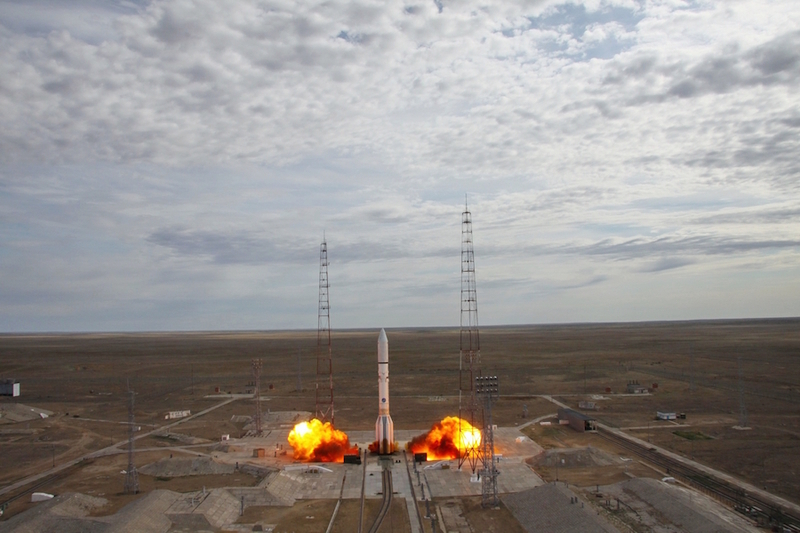 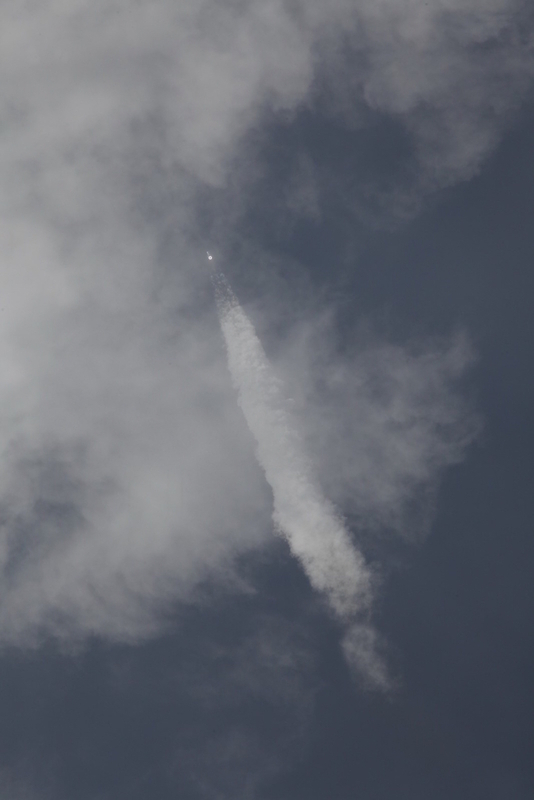 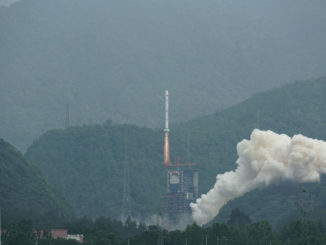 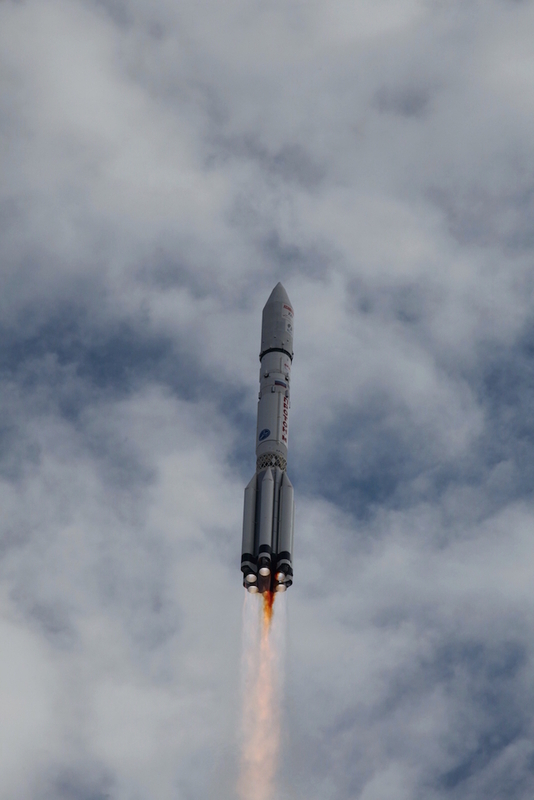 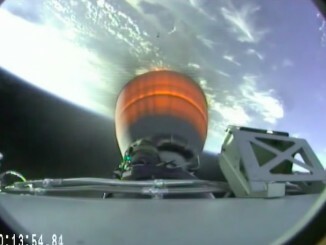 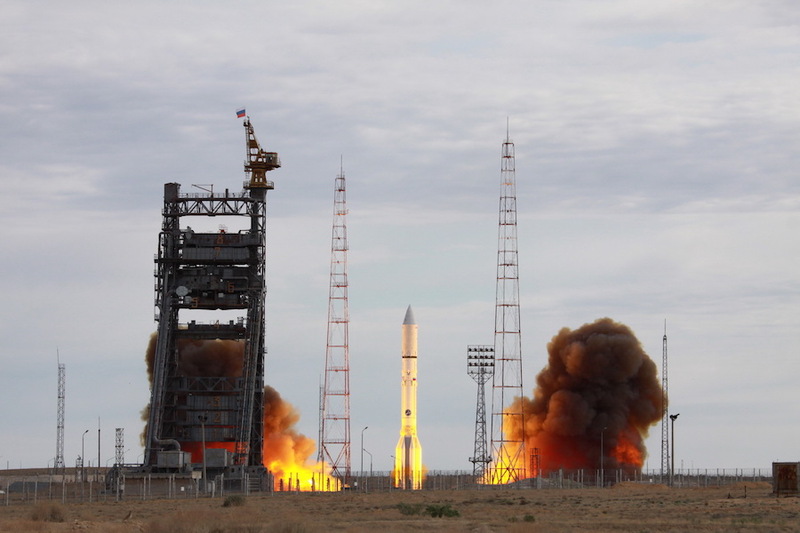 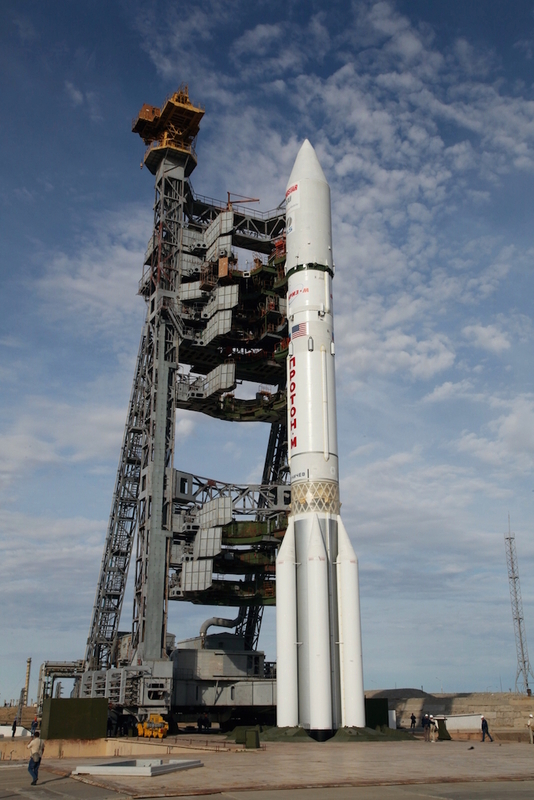 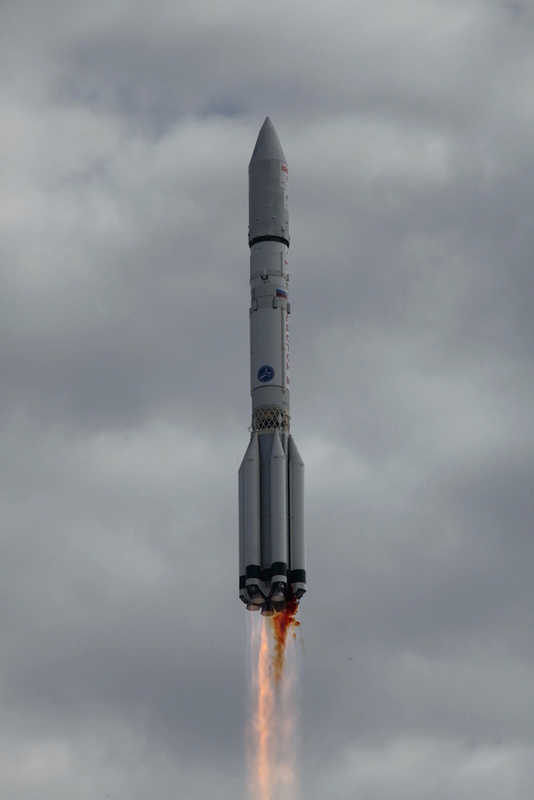 The 191-foot-tall (58-meter) rocket took off at 0345 GMT on June 8 (11:45 p.m. EDT on June 7) from the Baikonur Cosmodrome in Kazakhstan, and it took more than nine hours for the Proton’s Breeze M upper stage to maneuver the EchoStar 21 communications satellite into geostationary transfer orbit. 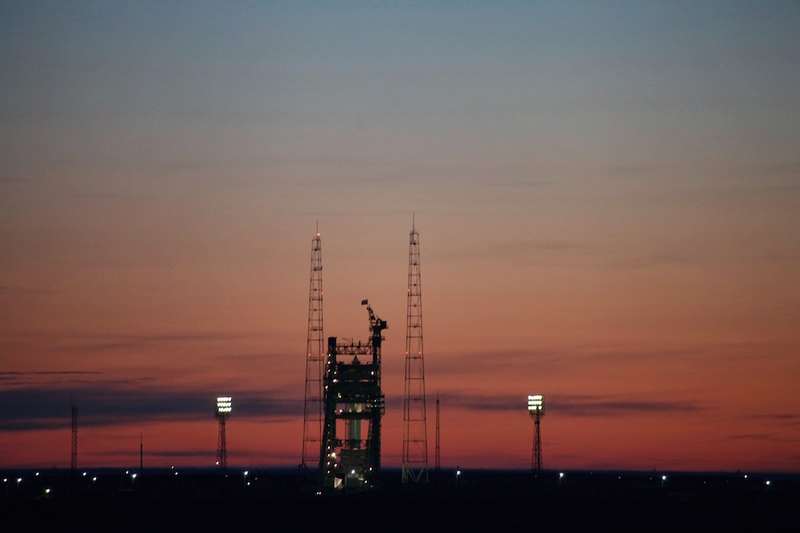 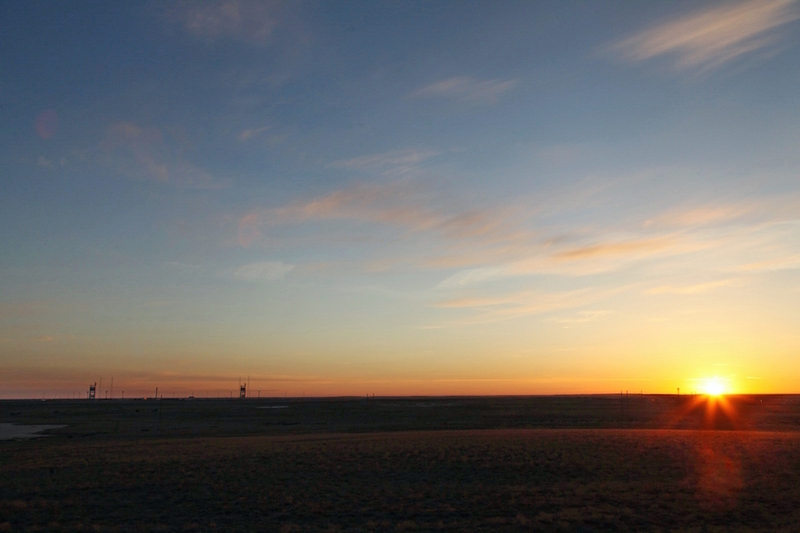 These images show sunrise at the Central Asia spaceport, retraction of the mobile gantry at the Proton launch pad, and liftoff of the liquid-fueled launcher on 2 million pounds of thrust from six RD-276 first stage main engines.